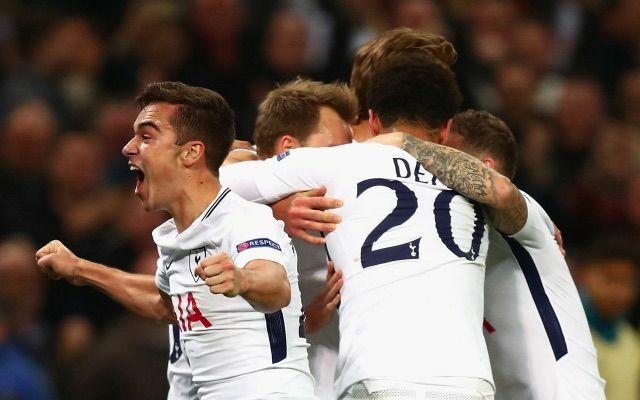 As Tottenham’s players celebrated their third goal in Wednesday’s emphatic victory over Real Madrid a young Harry Winks broke from the huddle to gesture his delight to the club’s supporters – his fellow fans. The last time Spurs beat the champions of Europe – taking down Inter Milan 3-1 in 2010 – Winks had been an excited teenager cheering the team on in front of his dad’s TV. Winks is the latest of Tottenham’s homegrown talents to make the grade under Mauricio Pochettino and his emergence should be a cause for optimism, not just for Spurs but also England. Three Lions boss Gareth Southgate named Winks in his latest squad for this month’s friendlies against Germany and Brazil and it looks increasingly likely that he is on course for a starting berth at next summer’s World Cup. Winks may only have one England cap under his belt to date, having been named man of the match on debut against Lithuania, but his superb displays home and away against back-to-back European champions Real suggest he is more than ready to shine in Russia. The 21-year-old is the player Southgate has been crying out for – a responsible midfield anchor who looks forward without neglecting his defensive duties. He turns quickly, always looks to play a progressive pass if possible, but rarely gives the ball away. Whatever Winks lacks in strength and power he makes up for with his positional awareness and footballing intelligence. Real star Luka Modric, whose company Winks looked comfortable in at the Bernabeu and then Wembley, has proven it is possible to be a world class No 4 without relying heavily on raw physical attributes. Winks was one of six Spurs players to be included in Southgate’s squad on Thursday and it seems certain that Pochettino’s side will provide the spine for England’s shot at global glory next year. Harry Kane and Dele Alli are nailed on to start as No 9 and No 10 respectively, while Danny Rose should make the left-back spot his own again once he returns to full fitness. Eric Dier’s versatility makes him a big asset in a 23-man squad and he could play alongside Winks in midfield, although a place at centre-half is also a realistic possibility. An injury to Toby Alderweireld means Dier is set for a run in Tottenham’s defence, while Southgate’s comments about his intended style of play suggest he may fancy the Spurs man at the back. Finally, Kieran Trippier finds himself in a battle with former Spurs teammate Kyle Walker for Southgate’s approval at right-back. Manchester City summer signing Walker has played more frequently this season, which will work in his favour. But despite making fewer appearances, Trippier has created more goals than Walker… which is similar to last season’s story. Walker has provided five assists in 12 Premier League and Champions League matches this term, while Trippier has set up six strikes in 10 games. As rivals at Spurs in the 2016-17 campaign, both players assisted five PL goals, with Walker doing so in 2,704 minutes compared to Trippier in just 634.